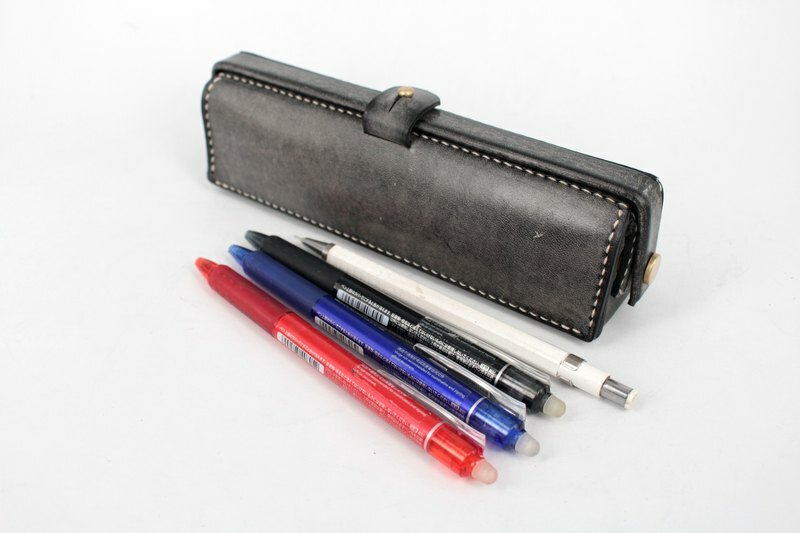 concept of design: With the concept of American doctor package structure, Pen box for exporting money In addition to design eye-catching, Also has large capacity features The must-have items for the class exam~ Material/color: Italian top wax vegetal yak leather ~ black Size/function: TOTAL: 19.2 X 5.5 (H) X 4.5 (Thickness) CM Capacity: 17CM (length) x 4.8 (high) x 4.4 (thickness) CM Personalization: English name can be engraved, free within 15 words Please contact the designer for details other instructions: 1. Since the products are all hand-made, production starts after the payment is made, and it takes 5 to 7 production days to ship. 2. The goods are hand-made, but leather fineness, leather color are small errors, please understand ^^ 3. Leather is a natural protein material, maintenance only pays attention to humidity, excessive drying, can use leather containing animal fat oil, If the weather is damp, it may cause mildew and it must be protected from moisture, but daily use can prevent mildew.